Enjoy the best inspirational, motivational, positive, funny and famous quotes by Amy Trask. Use words and picture quotations to push forward and inspire you keep going in life! Look at what Al Davis has done. 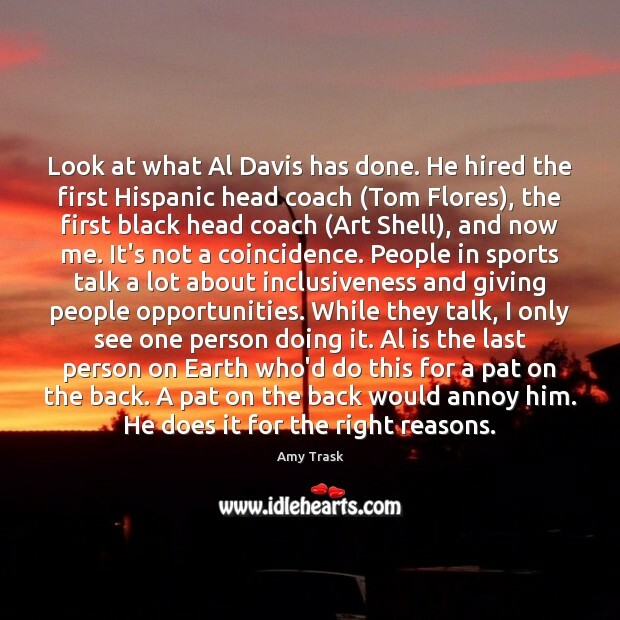 He hired the first Hispanic head coach (Tom Flores), the first black head coach (Art Shell), and now me. It's not a coincidence. People in sports talk a lot about inclusiveness and giving people opportunities. While they talk, I only see one person doing it. Al is the last person on Earth who'd do this for a pat on the back. A pat on the back would annoy him. He does it for the right reasons. 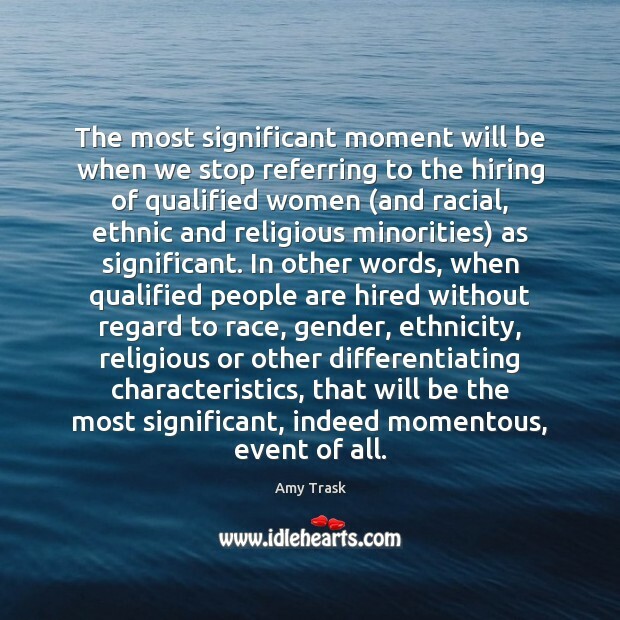 The most significant moment will be when we stop referring to the hiring of qualified women (and racial, ethnic and religious minorities) as significant. In other words, when qualified people are hired without regard to race, gender, ethnicity, religious or other differentiating characteristics, that will be the most significant, indeed momentous, event of all. 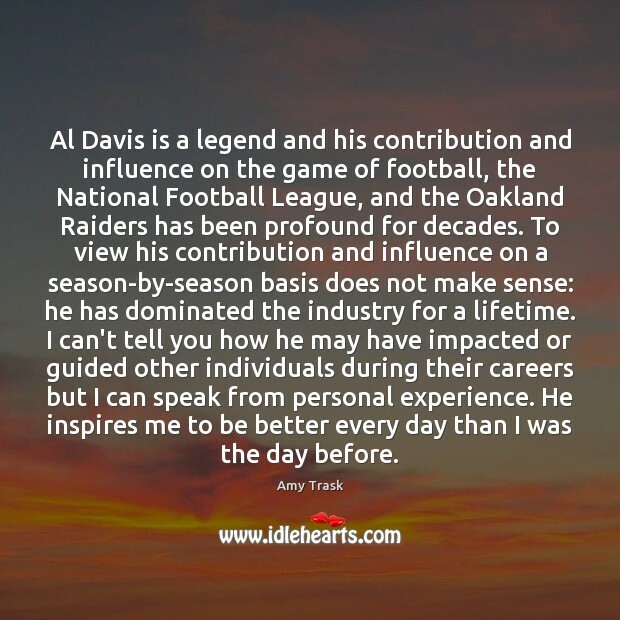 Al Davis is a legend and his contribution and influence on the game of football, the National Football League, and the Oakland Raiders has been profound for decades. To view his contribution and influence on a season-by-season basis does not make sense: he has dominated the industry for a lifetime. I can't tell you how he may have impacted or guided other individuals during their careers but I can speak from personal experience. He inspires me to be better every day than I was the day before.